ARE USING NOW BY SAVING YOU SPACE, TIME AND A LOT OF MONEY. Contains the original Micro Plant Powder with Probiotics, Iodine, 74 assimilated raw plant minerals for fast action into the bloodstream, including 27 clay and soil vitamins and minerals that are negatively and positively charged for enhanced absorption into the cells. These added nutrients make it our largest selling full spectrum mineral complex and detoxification product on the market today. There is nothing like it. This product comes in a 2.5 pound specially sealed BPA FREE container for your protection. Also our lids are shrink wrapped for added safety and protection. We ship this product safely all over the world with many happy customers. If you want to change your life and enjoy a full body detox that really works!!! 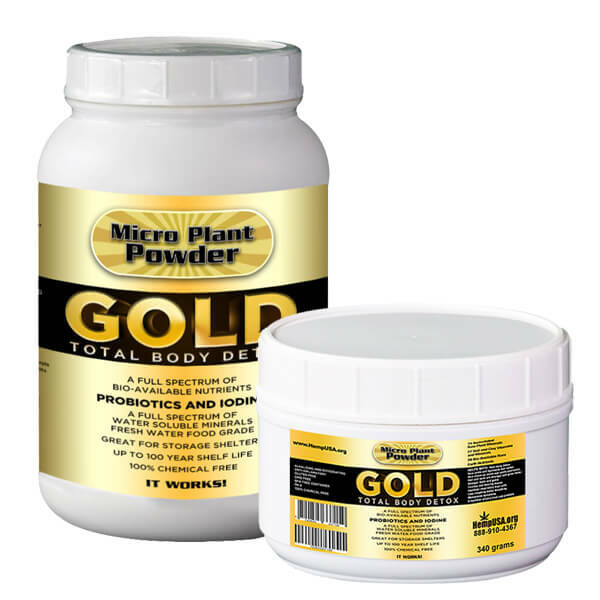 Micro Plant Powder Gold is your answer. Micro Plant Powder Gold is a fresh water food grade product that is gluten free, ant-inflammatory and has a PH value of 8. Remember cancer cannot grow in an alkaline environment. By taking it regularly you will not only be detoxing the entire body but feeding the body all the nutrients it needs. The high amounts of probiotics and Iodine in Micro Plant Powder Gold keeps cancer and radiation away and will protect the organs while the Probiotics allow for great digestion and a balanced stomach flora. Taken Daily you will notice something different about the way you feel. Give it some time to work and keep your body clean and nourished with Micro Plant Powder GoldAll of these activities result in a much healthier body with less sickness. We often hear the phrase “I just feel better” with Micro Plant Powder Gold This better feeling means less brain fog, better skin, hair and nails and by giving your immune system the “jump start” it needs with great nutrition. Many testimonials that we have received, say that there skin, hair and nails have improved tremendously in a short period of time. Regular bowel movements are more frequent and are fully connected. A healthier colon is especially important as we get older and a clean healthy colon keeps away polyps, cancers and ulcers. Today, many are spending thousands of dollars to get colonics to do the same thing that Micro Plant Powder Gold does. Many users report increased energy and needing less sleep. This is a result of food nutrients being better absorbed into the blood stream. As these infinite number of cage-like cylinders move through the stomach and digestive tract, attracting positive toxins like a magnet throughout the body absorbing virus, fungus, bacteria, parasites, protozoa, heavy metals, endotoxins, pesticides and drug residues, E-Coli, molds, mildews and myco-toxins are trapped inside these cage-like cylinders that collect the garbage and remove it from the body along with larger parasites that may be found in the stomach and digestive tract are destroyed by the Micro Plant Powder Gold without destroying the stomach flora and also keeping the vitamin B-12 and vitamin K balance. As the Micro Plant Powder Gold eventually dissolves into the blood there are many benefits of the silica content in our bodies. As Micro Plant Powder Gold gets absorbed into the blood stream, these microscopic negatively charged cage-like cylinders move throughout the body; they clean and breakup the buildup in the blood vessels and bad fats. People who us this product state to have lowered their cholesterol by 40-50 points. We have also had claims of users amazed at how their blood pressure lowers to normal. One gram of has a surface area of over 8,600 square feet of pure absorption surface with a strong negative charge which increases the absorption of toxins. It simply vacuums the body of garbage that is not needed or wanted. Micro Plant Powder Gold has a PH level of 8 making it an alkaline food source which is great for the body by keeping all systems clear and balanced for health. Contains Probiotics and Iodine which are very important elements in our health. In today’s world our bodies are being depleted of iodine, and we are not getting enough in our diets or digesting our food properly, so we have added Iodine and Probiotics to our Micro Plant Powder Gold WITH 101 VITAMINS AND MINERALS Cancer cannot grow in an alkaline body. strengthens the body to a point of higher resistance by allowing for a complete body detoxification and intake of vitamins and minerals, improved immune system, strengthening the pineal gland, prostate, cervical area, breasts and thyroid glands and the largest organ of the human body, which is our skin! I really love this product because my muscles seem to recover faster since I’ve been benching pressing 225 pounds, which is pretty good considering I am 60 years old. People even say I look 15 years younger than my age. This product also helps me digest my food and gets rid of the waste within my system, which helps with my vitality. Micro Plant Powder is really a miracle product. I thank God and my luck stars I came across this product through Republic Broadcasting Network (RBN) that advertised Micro Plant Powder. I really love this product because my muscles seem to recover faster since I’ve been benching pressing 225 pounds, which is pretty good considering I am 60 years old. People even say I look 15 years younger than my age. This product also helps me digest my food and gets rid of the waste within my system, which helps with my vitality. I’ve been taking this product ever since I had a severe muscle tear on my left calf 11 years ago, which partially tore an artery that clotted and led to a pulmonary embolism. After suffering and persevering the blood clot and thrombosis that followed. The doctors at the time told me that I could never run again because of severity of the tear. But, when I started taking Micro Plant Powder 6 years ago, my left calf muscle healed and I started running and even sprinting within a month. Micro Plant Powder is really a miracle product. I thank God and my luck stars I came across this product through Republic Broadcasting Network (RBN) that advertised Micro Plant Powder. A truly awesome product! The company lives up to its word! I feel so much more energy and even more than that, it’s the feeling of wellbeing that I am now enjoying! Give it a go! You have nothing to lose and so much to gain ! Great product! Def. worth trying! I cant say enough good things about the Hemp Gold! I am just finishing my second order and my energy is through the roof! I feel good mentally and physically and am so grateful to the friend who shared this product with me! I also bought the Hemp Oil which I use on my salads! It’s all good! Real integrity at HempUSA! Hey there, i made my second order from overseas it´s like 1.5 2 years ago i live in Denmark EU. 5 Tubes of 2.5lbs and i never regret doing this with 5 Magnesium cells alive sold 1 Tub to a friend cos i cant stop ranting about how good this is im a health supplement freak 😀 cos in the end all we have is our health but as i think many people know it´s not all ways easy to convince others of the benefits of a product like this but i can attest to this from the Original Microplant powder i used 5 years ago to the Gold i just started on my last tub and now if i ingest any other herb or sups i can only say WOW!!! What an uptake i have now and 1 thing is for sure im taking this the rest of my living life. As tobyhc73 Mentions as an athletic performer this stuff is a Miracle! I only been taking the Micro Plant Gold for a week, and I feel so much better, meaning more energy. I have had a lot of pain in my legs and it is easing so I have less trouble walking and climbing stairs. Everyday is an improvement. I also have a skin problem lately, with dry skin and resulting in itching. I am hoping that after several doses that it subsides to nothing. I love this product and recommend it for every day health. Great product! No more aches and pains. A simple way to feel and look great!!! I have used this porduct over the past two years and after using it, i noticed that i feel much more clarity of mind, regularity, stronger bones and healthier skin. Missing a couple days, i can tell the difference and it isnt a good one. It just makes you feel and look more youthful in all areas of your body. I mix it with hemp oil and its even better. Ive gotten so many complements from others, it cant be coincidence. Try it. You will not regret. Blessings. what a suppliment! definitely found my potion. i mix a pint of H2O, 2tbl MPP, and a dash or two of Beet juice! what an excellent cocktail! love the product . i am on my second order and truly feel and see an overall increase in energy and well being i am 69 years young. I been using this product for 3 weeks now and feel great. I use other micro plant powder product for 4 years now and am happy with them. I have no gray hair, no pains, no problems and feel absolutely great. Not bad for over 40 years old. Great product! Been taking the Gold for about 8months now. My hair is growing back and my skin allergies are now gone! Also good for those who wants to trim down on weight. I am now recommending this product to my friends. I hope you should try this product as well! This product changed my health. I’ve been taking this since 2013. I had a broken back and needed something to aid me back to overall health. I was “stick in bed” for several months and my nerves were damaged due to injury. Taking this product allowed my body to bevome stronger and aided me in my recovery. I am extremely grateful to have found these products. A lifetime customer for sure. Thank you HempUSA. This is the finest supplement I have ever taken. It has many benefits for your body and mind. I recommend every one my age should take this…68 years young and feeling younger everyday! Earlier this month I was out of my Micro Plant Gold and my body was telling me so. I placed an order as soon as I could and wow: my lower legs and feet felt better with circulation within two days. Won’t run out again. Noticeable increase in quality of life since taking this supplement daily. 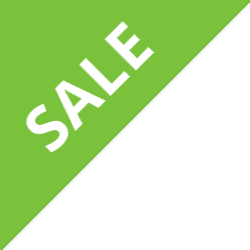 Wonderful product – recommend to my friends and family regularly. Our Chiropractor introduced us to this product. We’ve now been using for several months. It gives us piece of mind that we’re getting all the nutrition we need on a daily basis. This product is great. I use this product daily. More energy…..hair, nails and hair are looking good. I will continue to take this product until the end of time. I love this product, the taste is great. More energy, not to mention hair, nails and skin are looking good. I will continue to use this product until the end of time. I bought the Original “Hemp Micro- Powder” over two years ago because of a bad knee and had a limp because of the brutal work I do (Roofing) and heard about the Hemp powder on a alternative radio site so I decided to try it and WOW….it did what they said it would do and my knee has been fine since taking the powder for 1 month faithfully. I bought the “tub” so I had plenty left and now returned and bought the “Gold Powder” to try for premaintenace!!! Thanks HempUSA!!! Customer forever. I was skeptical at first about this product. However all my past dealings with HempUSA.org have been positive ones. The products were always on point. So I kind of felt that this might be the product that doesn’t do what it’s quite suppose to do. But I decided to give this a try. And let me tell you… the mobility that I now have in hands, feet, and knees is remarkable. The boost I have in my energy level is amazing. I use to wake up just kind of slipping out of bed working the joints just before they were to start doing what they do…now I hit the floor moving as if my body has ..been work all night…I feel great. Great addition to my daily protein shake. It was recommended by my chiropractor. I feel more energized as a result of your product. I have recommended it to several people. It is a little pricey but it works! I just started taking, Micro Plant Powder Gold.I have noticed more energy and staying up later at night.also my skin seems to be looking better. My wife and I are reveling in the benefits from this Micro Plant Powder. We experience more energy, feelings of our inner body being cleaned out, clearer mind and thinking, and even feeling and experiencing more confidence. Thank you HempUSA for such a great product. I have been using Micro Plant powder for over 2 years. I put a tablespoon of MPP and a tablespoon of hemp protein powder in a Magic Bullet container with orange juice, mix it up, and you have the perfect breakfast. It energizes me all morning. I notice that my nails become stronger and shinier and my hair grows faster and thicker. Check it out !! Love this Gold! We have been taking it for quite a long time now notice a huge difference if we miss a day. We use it in our smoothie as breakfast. We think this is the best thing and can attest to it’s detoxifying powers as needed. Thank you, HempUSA for an outstanding product. This product is the best I have ever used feel great!!! I have been taking Mico Plant Powder for years now. I rarely get sick, my skin stays clear and my hair and nails grow like really quickly. I made this purchase having never tried any Micro Plant Powered products before and to my surprise this “Gold” product is good tasting and very agreeable to my digestive system. The label reads like a wish list of beneficial ingredients but it is the agreeable flavor that this product has that makes me most happy. I will likely give some as a gift to distant family members who will appreciate this quality product. What an excellent product! I can feel the effects almost immediately. I have only been using micro Gold for about a week now. I’m sleeping better at night l think it’s the powder. I’m excited about the long term benefits ! Years ago I used the original micro powder it worked great . Now that I’m older i need a product like this. Everyone would benefit using this product . would recommend to others . Thanks to Hemp USA !!! I just purchased this Micro Plant Powder Gold and my girl friend and I are both feeling the deep cleansing of our bodies. We are both feeling that we don’t really need some of the other supplements we have. We both have more stamina. We feel really good. Its great! we love it. Well, the name says it all! It has it all. Want to give your body what it needs to heal and feel good, GOLD is it! Have been using for 8 plus years. Have not been sick, feel good (energy). I just purchased this Micro Plant Powder Gold and my wife and I are both feeling an even deeper cleansing of our bodies. We are both feeling that we don’t really need some of the other supplements we have. We both have more stamina. We feel really good. Its great! We Love this Micro Plant Powder Gold product! The first thing we noticed was a cleansing or detoxification. Then after a short time we found a lift in energy and a decreased desire for sugar. Yippee! TO DATE this is the best way to get all the essential vitamins, minerals & nutrients that your body needs to keep itself in the best of health. ~ Most disease is the result of the body cells not having the proper elements to keep them firmly resistant to attack due to deficiencies in natural elements, such as provided in the Gold powder preparation. as I’m almost down to the bottom of the first one I bought, and don’t want to run out for my morning smoothies! I highly recommend this product to anyone looking for an ‘all-in-one’ vitamin-mineral supplement. Delivery time & customer service is EXCELLENT!!! Highly recommend “Gold” — it has an immediate effect on digestion, and you wake up in the morning well-rested with noticeable energy. After only 3 days this has improved my digestion. HempUSA.org your Micro plant powder gold changed my life, I had a very severe skin problem on my lower right leg, I found your product through a friend and he told me to make this product into a clay with water and apply it on the psoriasis patch three to five times a day. Each time removing it after 15 minutes and I did that for about a week and the skin returned to normal and I could not believe it!! Your Micro Plant Powder GOLD is amazing it works and I will continue to use it in my shakes and liquids. Thank you again HempUSA.org for all you do. I used to get colds ALL THE TIME. Ever since I took this I have not had a single cold in over a year on the product, which is just amazing as I was averaging one every other month! I have experienced the enhanced affect of vitamins and minerals actually getting into my various systems and improving their functioning. Especially notable is that the arthritis in my hands has reversed itself, and I am actually gaining mobility in hands instead of losing it. I feel healthier with more energy. Even though I am in my 70s, people often tell me that I look like I’m in my late 50s or early 60s. I recommend this product to my friends on a regular basis. This product and the hemp protein powder has helped me loose over 50lbs. I make a smoothie with the two products every day. It helps keep me full for a long time. I feel great and love your products. Great stuff – been taking it for years – best stuff on the market! I thought my friend was a nut telling me how great this product is. Then my daughter tried it when my friend left them at her house. She called me and said “mom, this gold stuff really does make you feel fantastic”. So, I tried them and has been taking it now for a couple of years. I have MS and I can truthfully tell you, I couldn’t get through the day without this. It gives me energy without giving you that nervous feeling some things give you. All natural too. What more could you ask for. It is wonderful. I have several friends who are now taking it too. Been using for 12 years. Great price for a great product. No taste to speak of, great in smoothies. This is the best vitamin powder I’ve ever used! We put it in our morning shakes each day. It is flavorless & blends easily. The product provides a broad spectrum of vitamins, minerals & other healthy things. This powder is the only way I’ve found to get a daily vitamins into my hubby who really needs it. After a week of taking it, I’m feeling better and I have more energy. My skin is even clearing up. I really do love this product. I have to put it in a smoothie or juice because it does have a vitamin like taste. But with all the vitamins and minerals that is expected. I have been taking this for a week and i’m a new customer. So far this is amazing I will review again in few months. This is truly an amazing vitamin supplement. There’s a noticeable difference in my energy level when I take it. I don’t feel tired or lethargic later on in the day. My skin has improved; it feels smoother, cleaner; my nails are growing faster (and they are strong), and my hair is feeling the effects. Those are some visual improvements from the micro plant powder gold. Before taking the gold micro plant powder i was always getting sick. No matter how many times I washed my hands I always seemed to get colds. Since taking this I feel like it has boasted my immune system. I also have a lot more energy. The gold has really helped me in many ways. I have more energy, i’m not sluggish, no more being constipated. Plus all the vitamins and minerals i get while taking it. I use the gold 2-3x a day in a glass of water. And it’s easy to take and very convenient. This is a wonderful product for my busy family! Living in the midst of the rat race, it’s nice to have such a well-rounded nutritional supplement that is quick and easy to whip up. I was surprised by the mild vitamin flavor but that’s expected. If my kids can do it anyone can. I have a lot of health issues and since taking this and few other products of yours. I have been feeling better and getting off my medications. I find this was a true blessing to find your site. Thank you for awesome customer service and products. Great product! It has made me feel good and my hair and nails grow so health and fast. I use to feel very sluggish but this has given me my energy back. I also notice when I forget to take it. It shows how good this is. I love that I don’t have to take so many supplements anymore. This product has changed my life. I use to get headaches daily but since taking this I haven’t gotten one in awhile. I start my day by drinking The Micro Plant Power Gold.. I mix it with my Hot Chocolate. And it give me energy the whole day…. My mom has been after me for ages to get MicroPlant Powder into my diet! She says it’s really important for us vegetarians, so I’ll take her word for it! I am happy to find this option. This product works great in smoothies. This was a first for me. I was nervous taking this and a little unsure on the best way to use it to give it a true chance. I decided on adding it to a smoothie. I started with 1/2 tsp and then went to 1 tsp. I didn’t notice much of a difference in taste. There was a little color change. I’ve noticed a difference in my endurance. I’m starting to feel like I’m somewhat more focused and getting things done in my life, finally! I’m almost to the point where I’ll venture into putting it on some foods and trying it that way. I’ve been using this product for a week after taking the advice of my cousin and the other 5 star reviewers. I have never tried any supplements or powders in my life since Flintstones vitamins as a kid and a brief stint of One a Day Womens. So my advice comes to you as a complete novice. In the week since I’ve started this I’ve noticed a boost in energy. I used to become so worn out I needed to nap every afternoon, which was I was NOT happy about, hence me seeking out a good detox product and my cousin recommending this. Feeling healthy takes on a whole new meaning once you take this product. I’m a 30 year old male and my wife and I are honestly total health freaks. A good greens powder is a staple to every diet. There are already a ton of reviews on here about how high quality this powder is and that it makes you feel wonderful (which I agree although you really need to take it for about a month before you really feel any physical changes as it has to actually become part of your diet). The way the gold makes me feel is refreshed. I have so much energy and just feel so much healthier. I also drink the hemp coffee which is delicious. Amazing products and customer service. This is the best in smoothies. Everyone in my family swears by this stuff. AMAZING! If your tired of taking horse size pills this is the product for you. I love how many vitamins I get in this powder. I try to eat a very healthy diet but know that our foods are deficient in vitamins and minerals. This supplement provides me with the peace of mind knowing that I’m providing my body with the nourishment it needs. I can really tell the difference in the way I feel when I run out of this. The best all in one multivitamin! This product makes it possible for everyone in our family to get an excellent multivitamin and mineral supplement every morning. We drink this in a smoothie. Everyday I drink my green tea and I add this to it along with protein powder. I call this my super drink. I get all my needs from this drink. I recommend your products all the time. I have been taking the gold for awhile now. I am so happy how healthy I have been. My doctor can’t believe I am 70 years old with no health issues. I owe it to you guys. Thanks for these amazing products that have kept me healthy. I am so happy with this product. It gives me so much energy. I also have noticed my hair and nails grow so fast. This is a must have in everyone’s diet. I am so glad I can just take this powder and know all the vitamins and minerals I am getting. My body feels great and my skin is clear. Everyday I add a tablespoon to my green tea. And I feel refreshed and healthy. I also take brain fuel and iodine now every day to keep me in the best health possible. My body is fit and my mind is clear. This is the best product on the market. It has everything you would need daily. I’m a full believer this has changed my life and how i feel everyday. Customer for life! For years I struggled with acne. Since taking this my skin and hair are amazing. I recommend your products to everyone I met. I have been taking the gold for two years now. I am so pleased with your product and how it makes me feel. I love how many vitamins are in it. This product has given me tons of energy and I always feel great. I have been taking this product for two years now. It has changed my life. I feel so much more alive. Amazing. Truly the best detox powder I’ve ever taken. Just ordered another 2.5 pounder, should be here pretty soon… I have so much energy now and it’s only been a week and a half. Just awesome. Thank you for making this stuff, it’s miraculous. What all 1 a day vitamin supplements SHOULD contain, very good product. The fact that the Gold has the benefit of MPP and all the added vitamins is amazing!! I will likely be taking this for life. I gave some to a friend and he told me he just spent a few hundred dollars on synthetic vitamins that he now regrets. He’s going to buy the Gold as soon as he uses up the other products. This product is a miracle. My grand mother was right. I know that sounds funny taking advise from an 88 year old woman but she obviously has done something right. I started taking MPP Gold for about 3 months and I am a changed person. The Gold has saved my life. I don’t think I am stretching that word by all means. I had some serious health issues that hospitals and doctors could not control. I only stumbled on HempUSA.org through some google searches and was really interested from the get go. 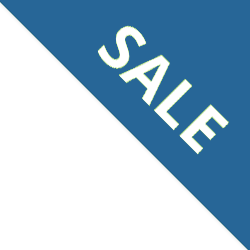 The site is presented so well I was inspired to click into more products. After using the wellness builder it helped me really narrow down what I should be taking. I figured I would give it a shot and within 3 weeks its like a miracle. The doctors did not want to believe what they see with my blood levels but I am so happy and will continue trying other products for good. Thank you. Gold Micro Plant Powder is excellent, in my experience. I had originally started using plain Micro Plant Powder several years ago and then stopped. This year – 2015 – I went back to Hemp.usa and was shocked to see so many varieties for MPP. I chose the Gold variety since it seemed to be comprehensive with all the vitamins and minerals. I was not disappointed! I am 63 years old and was noticing quite irritating pain in my knees, even when getting up from a sitting position, but that is now gone! In fact all my joints feel great, and walking up hills is not a problem for my joints either. My nails used to be so brittle, I couldn’t use them for simple things without breaking them or getting vertical rips into the nail bed underneath my nails.. But now my nails are very strong. And, another excellent result is the gradual fading of the liver spots on my face; it is really helping with my skin. I got back a week ago from being overseas for one month and noticed I had developed several small skin areas that were red and scaly. After being back home for one week and getting my full dose of Gold MPP, those are already fading, too. I originally bought a small container to try it out and loved it. So I ordered some more, and eventually just bought the bigger 2.5 lb. container so I wouldn’t run out. I’m taking 1 Tablespoon two times each day now. Soon I want to expand and try another type of Micro powder as well, but I will still definitely keep using the Gold. Awesome! This is a great product. I had more energy when taking this. I used it along with the hemp protein powder. Great combination. I had so much more energy after taking this plant powder. My brain didn’t feel as foggy and had a less desire for sugar. This is the best supplement I have ever bought! Since taking Micro Plant Powder Gold I have noticed that my hair, skin and nails are much healthier and I also have much more energy! Micro plant power is where it’s at. take it daily and always know the days when I forgot. Highly recommend as a health maintenance supplement. I’m only 30 w/out any health issues to relay anything further. that should continue using this stuff. Thanks! Highly recommend!! Love this Micro Plant Powder!. because of the high mineral content it doesn’t really mix and dilute well, or so I thought! I stumbled on to a little trick by accident that make it mix even in plan water like a dream. Fill your cup with juice of choose even water if you want. Add MPP last then leave it alone for 2-3 mins …..the lump of power will settle to the bottom by then. Now you can spoon stir it right in with no problems. Hope that helps some of you, that were like me and just tried stirring it right up. Not only did it give me great energy but my skin and hair look and feel better than ever! Other people recommended HempUSA and Micro Plant Powder Gold. I made a lifestyle change and committed myself to these products and I’m rarely sick or have any health issues anymore. Been using Micro Plant Powder for 7 years. It works! Have not been sick in 7 years! Happy customer here! Micro Plant Powder forever! 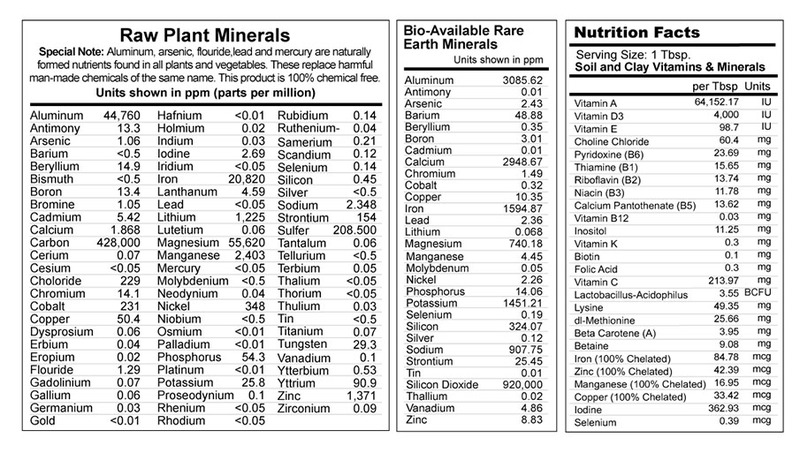 I’ve been taking the micro plant powder for years…second to none! I ran out for several weeks as my Gold was on back order. I could really tell the difference after it showed up. After going without, I felt better within two days after it arrived. Poor circulation in extremities was gone immediately and sore joint pain gone. Helps with energy and joint pain. I highly recommend this product! im 65 years old and have been taking micro plant gold for 2 years……….i consider myself very healthy and young for my age with plenty of energy……..the reason i started was because i consider it a cheap health insurance policy……..even though i eat healthy and exercise 5 days a week……..i felt i still needed help to clean out any toxins that are present in my body………we are constantly being bombarded every day by the food….air and water which have toxins in them…….we can`t avoid everything……you are fooling yourself if you think you can……micro plant gold gives me the extra punch i need to enhance overall health……..health insurance at a cheap price………start taking it today..!!!!!! I love this stuff! I’m a flight attendant and my fellow co workers rely on Red Bull and coffee for energy and I rely on my micro plant powder products and I know what I put in my body is chemical free and healthy. So i think this product is great, i bought one of the 10 buckets, and it lasted me like 1 full year! And it very clean feeling when i use it, i like mixing it with certain breakfast meals or even a shake on its own. Plus the amount of protein that i get with two scoops has been giving me such helpful gains and its all free from those nasty chemicals you get from the mainstream GNC products they have. Thank you HEMPUSA for doing what others couldn’t, giving me a healthy good alternative! This is the best supplement I have ever taken. It has many benefits for your body and health. Everyone should take this. Micro plant powder gold is great because it takes the place of so many other supplements, and is more absorbable also. It most likely is responsible for my having gotten over decades of COPD. I have taken micro powder for over 3 yrs now. I did a bone density test .Then started the powder for a yr. Took another bone density test.It was without my doctor knowing anything. When he compared the two tests he wanted to know what I had done to fill in my pour us bones from one test to the next there was a significant difference. I took my doctor my literature I have in a binder and left it with him for a month so he could read it. He was amazed and told me to keep taking it because it made a big difference in my osteoperosis. It filled in all of the porous spots. I like my micro powder. I have tried a lot of products over the years and was great to find something that works. Losing weight, gaining energy. When I take it I don’t have problems with heartburn or lactose intolerance. If I dont’ for a few days, problems come back. Will be ordering more. Great product! This is incredible for hair and nail growth….I believe it is even keep my hair from turning gray! Great for energy and overall wellbeing! This is an amazing product. Of all the brands of micro plant powder I have used in the past I am most pleased with this one and will stick with what works. This product is a good way of taking care of myself. Thank you Hemp USA I certainly trust in the products I have purchased from you. EXCELLENT PRODUCT!! IT’S A MUST BUY…. USE THE PRODUCT FOR 5 MONTHS AND IT’S FANTASTIC!!! MANY BENEFITS AND GREAT QUALITY. THANK YOU HEMPUSA!! Please continue to bring us excellent products…. EXCELLENT PRODUCT!! IT’S A MUST BUY…. USE THE PRODUCT FOR 4 MONTHS AND IT’S FANTASTIC!!! MANY BENEFITS AND GREAT QUALITY. THANK YOU HEMPUSA!! I wish I could give this product more than 5 stars! Within the first 4 hours of taking 1 tablespoon, I lost 65% of my bloatedness! And its only day 3 today and its still going down! I haven’t felt this comfortable in YEARS! I am so grateful for HempUSA. You are helping me restore the quality of life I have felt that was missing for a long time. Thank you so much! I buy a lot of supplements and this product is one of the best I have ever had. It is the most economical suppliment that I have tried. Amazing! This is a product that you’ll actually feel the results from within 2 weeks. The reviews I read sounded too good to be true. So, I made the purchase and found out for myself. Each one of them is true and you can experience the difference too! Our first order is getting low and came back to order more. Feeling the more energy, seeing the hair and nails improve and generally starting to feel all around better. Great product, great company and plan on trying more products this next order. My brother in law turned me onto this stuff , just wish I’d have found it sooner. Just finishing up my first order of the Micro Plant Powder Gold. I have taken the regular Plant Powder in the past and this product offers so much more for my body. Looking forward to purchasing more. I am almost finished with my first order of the Micro Plant Powder Gold, and my Hair and Nails are stronger and growing faster than ever before. My blood pressure is better than it has been in years. Great Product!!! I’ve been using the Gold powder for about three months and I love it. My blood pressure has dropped to almost normal and my cholesterol dropped 20 points. I also bought the gold powder with iodine and the rejuvenate powder.i can’t wait to try those! Thank you Hemp USA!!!!! What a shame this has been kept from “we the people”. Hemp is also God’s Miracle Food for all people and would have eliminated much suffering and pain had we simply known. I have been taking Hemp Products (Micro Plant Powder and Protein Powder) from HempUSA every day for last 2 months and can’t even begin to tell you what it is doing for me. In just last 2 weeks I am out walking every day and even planted a flower bed. Now, I absolutely could NOT have done this 2 months ago. People who live here in these apartments are now coming up to me and asking what it is I’m doing, because they have seen my car basically parked for days and weeks at a time over last few years, and now they see me out engaging in activity and life. My stomach problems are pretty much resolving as well as bone, muscle, and joint pain. I was looking for an organic supplement that combined many of the aspects of detoxification that I have learned about, including alkalizing the blood, detoxifying heavy metals, fungus, parasites, etc. I also wanted a food that could sustain the body and be a good emergency storage food. I heard your ads on radio shows and looked into your company. My whole family now uses Micro Plant powder gold and Hemp Protein powder. This winter, none of us went to the doctor and when people around us were taking antibiotics and laid up for weeks, we got a few days of whatever it was but it ran its course in a matter of days. The body cures itself if you give it what it needs! Mental clarity, energy, eating less because of proper nutrition. I am so glad I found your company and products! I’ve been taking Micro Plant Powder for about a year now. I started taking it because it is a cost effective way to get everything you need using non gmo ingredients without all the chemicals at a very low cost. It gives me energy and I have stayed very healthy , avoiding colds and sickness. After two weeks of a low dose my post nasal drip was gone, after suffering 20 years with this condition! I am 56 years old and working retail, and find I have more energy than my associates who are in their 20’s. My skin looks great and my hair is growing back in…I am a happy customer! Thank you for great products. I recommend the Hemp Protein and Hemp oil too! Love this product! The first effect we noticed was a cleansing or detoxification. Then after a short time, other improvements gradually began to show up: more mobility in the joints, especially hips, knees, and hands. We also found a lift in energy and a decreased desire for sugar. It’s satisfying and along with the hemp oil and soft centers, a daily ritual of a smoothie as our first and most nutritious meal of the day. So happy we found HempUSA and highly recommend it. We even tried the regular micro plant powder on one of our ailing cats. He has multiple issues, his hips are antithetic and his skin is sensitive to fleas. He has shown a huge improvement with just a 1/4 teaspoon daily, which helps to keep a much healthier skin condition and mobility. We started out with 1/4 teaspoon 2 or 3 times daily until we got to this maintenance level. We mix it with a little bit of water and he licks it up like a treat. The best part is we don’t have to give him expensive steroids anymore. I ordered Micro Plant Powder Gold, Hemp Protein & Stevia. All products are of the highest quality. I was buying stevia with dextrose from someone else before you guys educated me on dextrose. I now purchase stevia from you guys and the difference in taste is 100% better. I’ve been ordering from you guys for 5 years. I have referred many people to your site because of the quality of your products. Thanks again for providing our communities with quality products. I mix this in with my iodine now in OJ. Even my picky kids take it. They are all athlets and this stuff is AMAZING! The girls talk about their hair and nails being stronger. The boys have gotten more atheletic looking. I take it after a kettlebell workout to feed the muscles that I use. I am 40 with a 13% body fat now down from 20% when I first started taking it and it’s the only thing that has changed! Miracle! I believe this to be the most complete nutritional product I have ever seen! How long should a 2.5lb container of Micro Plant Powder last? Our 2.5lb containers can last anywhere from 3 to 5 months depending on use. How long will the 340gram container last? 340 gram container = approx. 12 ounces and should last about 40 days for an adult and about 80 days for children when used as recommended. Can I take Hemp Protein Powder and Micro Plant Powder together? Definitely! In fact, we recommend them to everyone, along with Hemp Oil, for full body support. Can I use more than one Micro Plant Powder? Absolutely and many customers take a variety of Micro Plant Powders. The base ingredient is the same, so you would combine or alternate the servings; taking up to a TBSP- 3 times a day, combined, for max benefits. 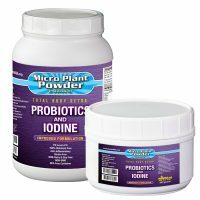 What is the best way to take Micro Plant Powder? We suggest taking the Micro Plant Powder with whatever your palette prefers, although it is best not to add too many sugary drinks. Many customers add Micro Plant Powder to water. If you do not like the taste, just prepare a smaller serving size (i.e. half a glass of water and a dash of juice, or almond milk with carob powder) and as always drink plenty of water throughout the day.